Remember i-Mate from the Windows Mobile days? They made the rugged Windows Mobile hand-set that could survive just about anything. Now it appears that the company is working to produce a Windows 8 Phone. No... not a Windows Phone 8 device, but a phone running Windows 8. Rumors have the company introducing a 4.7" device running Windows 8 Pro at Mobile World Congress 2013. The device will be powered by an Atom processor, 2GB of RAM and 64GB of storage, and work with HSPA+ and LTE 4G wireless networks. 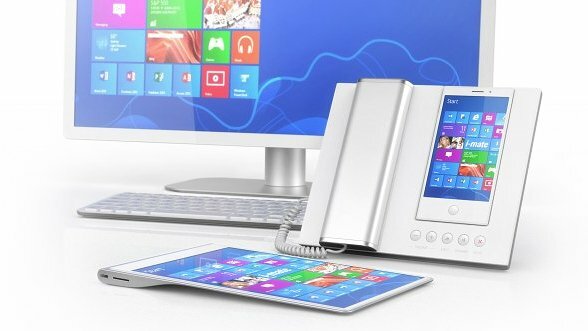 The Windows 8 Phone will have an optional docking station and wired handset that is dubbed the "hub". When docked the handset can act as a traditional desktop phone and make video calls. The "hub" also comes with a 23" touch screen display, keyboard and mouse allowing it to function as a desktop PC. There is also an auxiliary 10.1" wireless tablet. Cost? $750 for the phone itself and $1,600 for the phone and "hub". And no, we don't know if it can be dipped in ketchup and survive. i-Mate never really took off here in the States but has grown into a major phone producer in the U.K. and Dubai. It is our understanding that i-Mate is planning to unveil this new Windows 8 Phone this week in Barcelona. For now we'll sit squarely on the fence with this one and keep the Rum o'meter at five until Dan can dig up some more details tomorrow at Mobile World Congress. So... what do you think? 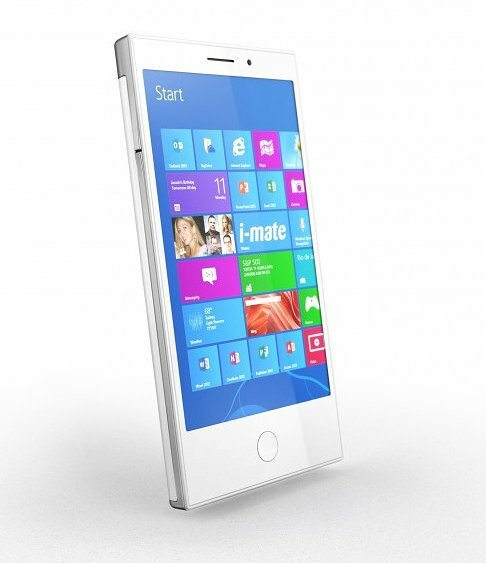 Could a Windows 8 Phone have a niche in the market? Or is this a concept phone that will have trouble making it off the ground? Source: Seattle Times; Thanks, Rodney, for the tip!